Here is the picture of the famous Haitian Violinist Romel Joseph who passed away at the age of 56. Romel Joseph was trapped for over 18 hours after the 2010 earthquake in Haiti. 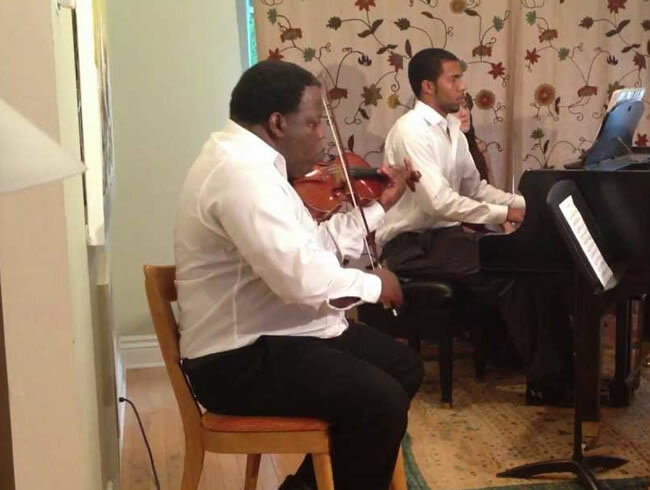 Romel Joseph, the famous Haitian violinist has passed away on October 6th, following a heart attack. In a note, issued by the Jean Marc Arthur Orante, the Haitian Minister of Culture of the Youth (GJH) has confirmed the sad demise of this famous blind violinist occurred at the Hospital Bernard Mevs and has extended government's sincere condolences to his family, relatives, friends, all Haitian artists and all those afflicted by this disappearance. The violinist survived the January 2010 earthquake after spending 18 hours pinned under concrete rubbles. When he was asked later how he was feeling under the concrete rubbles with a fractured hand and two crushed legs, he had said, I simply remember my favorite things, and then I don't feel so bad. The day before his death, on October 5th, his daughter Victoria posted a message on Facebook asking well wishers to pray for her father who had suffered a stroke while in Haiti. Hours later, the social media site turned into a memorial, filled with messages of condolence. Here is a picture of Rchie, the maestro of the Haitian group Klass, winner of Best Haitian Entertainer of the Year 2015. On October 4, 2015 at the Bailey Hall of Broward College Central Campus in Davie, Florida, during the 34th Annual International Reggae & World Music Awards (IRAWMA) ceremony, the Haitian Compas band 'Klass' has been given the "Best Haitian Entertainer of the Year 2015" award. 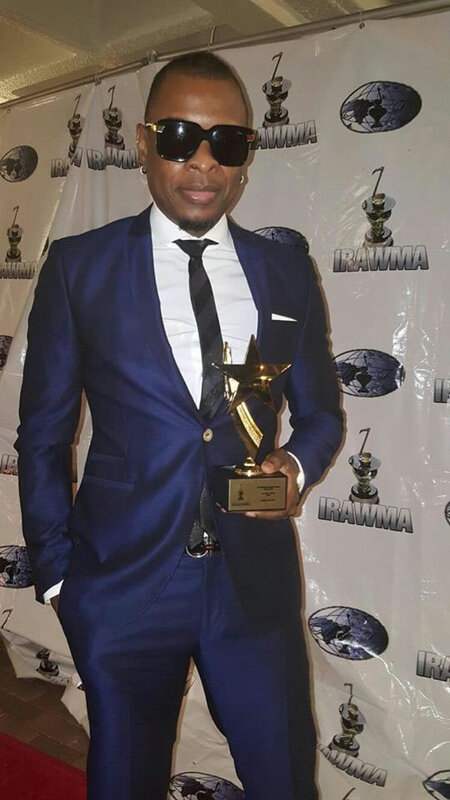 Another Haitian Compas band based in Florida, has won the "Florida Haitian Entertainer of the Year" award for 2015. Every year, the International Reggae & World Music Awards are announced under the management of the THELAR Management Group and Martin's International Culture. Experts on Haitian music participate from the U.S, Europe, Canada, France and Africa who look after the nomination process, and the winner is selected on their releases between June 2014 and May 31st, 2015 by considering their social relevance, popularity at different levels, stage appearances, originality, etc. The THELAR Management Group oversees the Haitian category. We just learned that the Haitian musician Jean Gesner Henry Jr aka Coupé Cloue Junior was shot and killed in on Tuesday, May 26, 2015 in Delmas 7. According to the report, Coupé Cloue Junior was shot four time and was pronounced dead that same night. 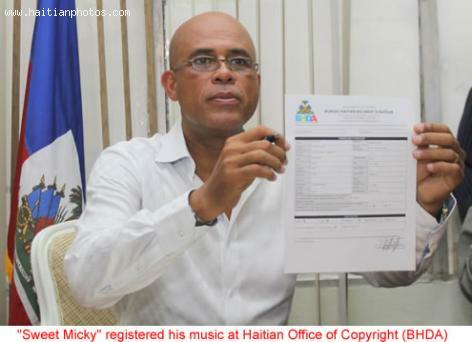 There are quite a few Haitian musicians who have managed to change their career successfully to become politicians. 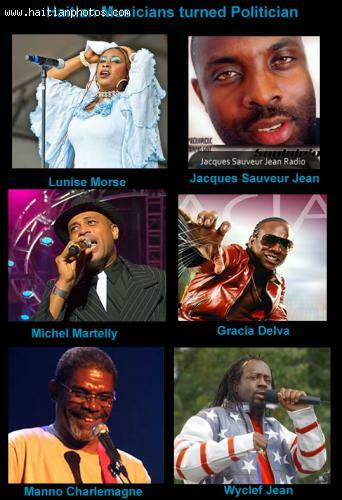 Although much more Haitian Musicians have been moved into politics, the following list comprises some of the most famous. Here is a picture of the musician Ralph Condé. He has a long history of playing music. This is a passion that Ralph Conde acquired since he was a child. Owning his first guitar at the age of 7, he started learning to play and dreamed to become a superstar. While growing up in Haiti, Ralph Condé was exposed to a variety of guitar players. However, he was mainly influenced by people like Jimmy Hendrix, Georges Benson,Lee Retenour,Steve Vai and some Kompa musicians from Haiti. 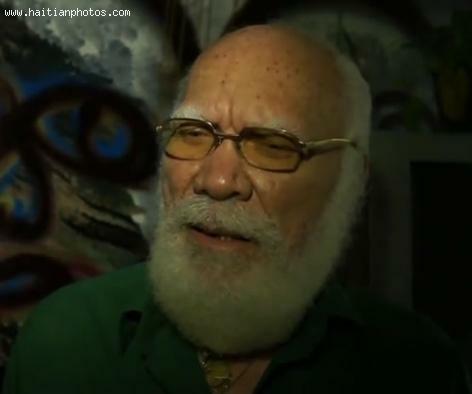 This is the picture of the Haitian artist Frankétienne. Frankétienne was born under the name of Franck Étienne on April 12, 1936. He is from a small town called Ravine-Sèche in Haiti. Franketienne is a well accomplished artist; he is an author, poet, playwright, musician and painter. 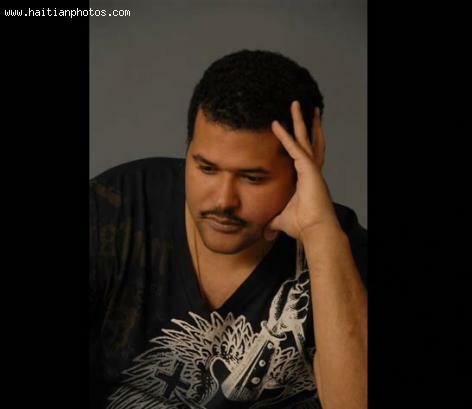 As a Creole language writer, he has written in both French and Haitian creole. Franketienne was a candidate for the Nobel Prize for Literature in the year 2009.